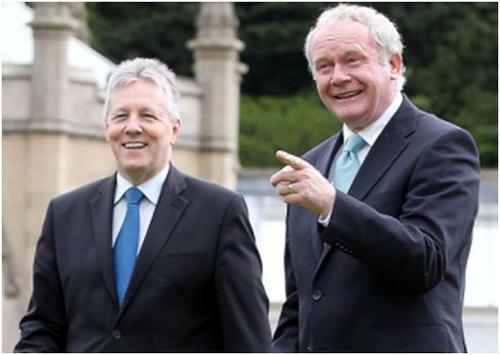 Is Stormont's £80m poverty fund deadlocked over cash going to Catholics or Protestants? A CONTROVERSIAL £80 million fund set up by the DUP and Sinn Féin to tackle poverty now appears to be deadlocked over whether more of the money should go to Protestants or Catholics, The Detail has learned. Red tape is a further significant reason why, nearly three years after it was first discussed, the much heralded Social Investment Fund (SIF) has yet to release any of its huge pot of public money to the deprived communities it was created to support. But there is also tension over the likelihood that unionist communities would receive a smaller share of the cash if it is distributed on the basis of objective need – because data shows nationalist areas suffer more widespread levels of deprivation. Sinn Féin confirmed it wants the money allocated on the basis of need, but the DUP declined to comment. At a time of economic recession, high unemployment, and in the face of looming welfare cuts, the row has helped delay a fund which by this date was supposed to have already invested £50 million in some of Northern Ireland’s most deprived communities. Grassroots organisations have spoken out here for the first time to say the delays have already disrupted frontline community services, with some warning that court challenges could follow. This comes as sources involved in operating the fund have claimed that the DUP and Sinn Féin are at loggerheads over the definition of ‘need’. A letter obtained by The Detail also claims civil servants have presented the parties with projects that are ready for funding, plus estimates of communities’ entitlements with “particular reference to need”, but it indicates these have not been acted upon. A Sinn Féin spokesperson responding to the accusations over the SIF stand-off said: "Sinn Féin are in ongoing discussions with the DUP in relation to the Social Investment Fund. “It is our view that SIF monies should be allocated on the basis of need. The allegations were put to the DUP, but it declined to comment. In the past, however, it has argued that deprived Protestant areas face specific issues that should be considered. Both the DUP and Sinn Féin accept deprivation exists in both sides of the community, but their failure to reach agreement now appears to centre on how the funding should be shared out. Official data shows that greatest levels of deprivation exist in Catholic areas, including the fact that, of Northern Ireland’s 20 most deprived wards, 16 are nationalist. Unionists have argued that Protestant communities can, however, experience pockets of deprivation in otherwise affluent areas, can lack the infrastructure to access aid, or suffer particular problems such as underachievement in education. For more details, see here. 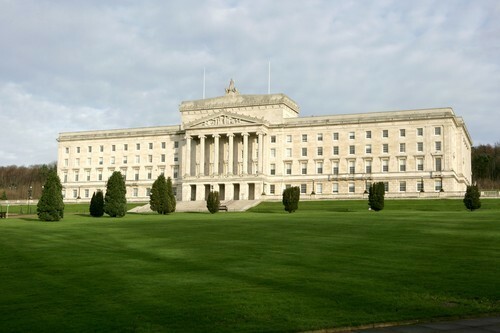 When the Social Investment Fund was set up, Stormont appointed nine `Steering Groups’ covering different locations across Northern Ireland to identify schemes for possible funding. A member of one of the government appointed bodies has told The Detail that the DUP and Sinn Féin are at odds over the definition of ‘need’. The source, who asked to remain anonymous, said: “That is absolutely what we are hearing. “If the money was allocated based on deprivation statistics, then more money would go in to nationalist areas than working-class unionist areas." In a separate development, The Detail has obtained a letter written by one of the steering groups which highlights its concerns over the SIF delays. The authors, who liaise with Stormont officials, cite what they claim is the failure so far of the First Minister and deputy First Minister to sign-off on revenue programmes already cleared by government economists, or to act on advice provided by government statisticians on the varying levels of need in the nine SIF zones. The letter reads: "As a steering group we feel that unless the process is expedited, the revenue programmes within the Area Plan will be seriously impeded in their ability to deliver on the individual project’s outputs / outcomes and, more importantly, will fail to make any discernible impact on SIF’s overall remit of addressing poverty. It adds: "We are further concerned about the lack of clarity over the proportion of funding that each area will be allocated. In addition, members of the Assembly committee that scrutinises the work of the Office of First Minister and Deputy First Minister, were told five months ago that projects were to be passed to ministers for consideration. Now the deputy chairperson of the committee, the Alliance Party’s Chris Lyttle, said a full explanation for the continuing delay was required. The east Belfast representative added: "This is an £80 million fund to help tackle deprivation and promote education, health and employment in our community and yet, as far as I am aware, two years on, not a penny has been spent. From the outset the SIF framework did specifically include deprivation criteria to identify areas eligible to seek funding. Documents show it sought to target the top 10 per cent and top 20 per cent of deprived areas using two sets of measures, while also seeking “independently-verified and robust evidence of objective need”. Critics have complained, however, that the efforts to create an entirely new fund, instead of using existing government channels, became bogged down in complex layers of bureaucracy involving steering groups, consultants and civil servants. But it is at the end of the SIF process that political conflict over how to address the levels of need in Protestant and Catholic communities now appears to have emerged as a major source of the logjam. When the SIF was first heralded ahead of the 2011 Assembly election, the prospect of additional funding was welcomed by grassroots groups. Critics sought to characterise the fund as a political stunt by the DUP and Sinn Féin and branded it a “slush fund” and a bid to win votes. But beyond political circles, there was a wider acknowledgement that more had to be done to support communities trapped in a cycle of poverty. 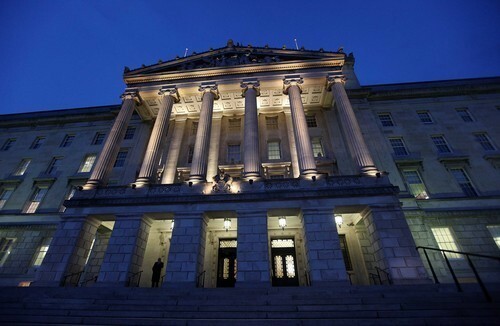 The Stormont Executive launched a discussion paper on the fund in March 2011, following a long-running debate in which the proposal was criticised by the smaller political parties. A consultation was launched in September 2011 and Northern Ireland was divided into nine SIF ‘zones’, but it was October 2012 before the nine ‘steering groups’ formed to shortlist projects in each area started the work. The steering groups, four of which cover north, south, east and west Belfast, had completed their work by February this year, submitting 89 proposals, including joint schemes and ‘clusters’ of projects, for the Office of First Minister and Deputy First Minister (OFMDFM) to consider. But eight months on, none of the candidates has heard whether they’ve been successful or not – and none of the money has been released. Now, the fund that was originally supposed to have spent over £50 million by today’s date, and the final £30 million by 2015, has given itself until 2016 to complete the task. There are fears that the tight time frame will make it impossible to spend the money, or to deliver projects that will have a real impact. The steering group member interviewed by The Detail said many communities who expected funding, were now unlikely to receive it. The source said: "What we should have known from the start of this process, and which should have been part of the preparation, is that we should have known how much each area was going to be allocated, on the basis of its need. “We then could have worked up proposals based on that knowledge – instead unrealistic expectations were raised." The SDLP held the ministerial portfolio for the Department for Social Development (DSD) before the 2011 Assembly election. At the time, it portrayed the moves to set up an OFMDFM deprivation fund as a ‘power grab’, seizing responsibilities that some argued should have been held by DSD. The DUP and Sinn Féin said they wanted to make a determined push to target unemployment, to tackle issues of deprivation and to revitalise derelict sites. They argued that to do so, it was necessary to create a fund with a sharp focus on these issues. But those ideals have become tied-up in red tape, delays and an apparent ideological split on the basis of ‘need’. In October 2012, when civil servants gave an earlier briefing on the Social Investment Fund to the Assembly committee which monitors OFMDFM, the Alliance Party’s Chris Lyttle warned of the confusion surrounding the delay in the fund. “Like others," he told the committee, "I welcome the announcement on the Social Investment Fund, given the serious issues that it has to deal with, such as unemployment, deprivation and dereliction. “To be honest, if those issues were not so serious, the way in which this has been handled up to now would be akin to some sort of dark political satire that the department seems to be making up as it goes along." Social Investment Fund: helping deprived communities or delivering uncertainty?